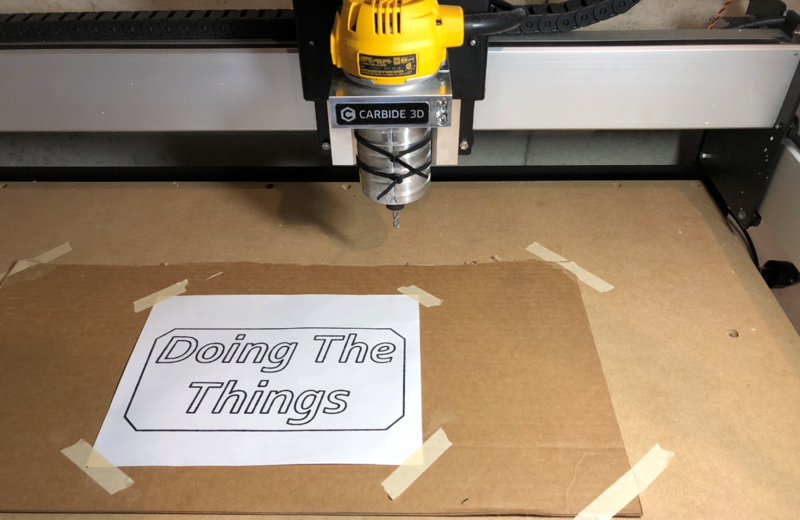 So you’ve just built your Shapeoko and likely ran the legendary “Hello World” marker project. Hopefully that all went well. But now what? At this point – you have a working machine but you’ve only run someone else’s G-code file to print the Shapeoko logo. I think a great next step is to do your own marker drawing. So in this post, we’ll walk through how to do that to generate you’re own simple marker drawing. Rather than text and pictures though, I’m going to try a new approach here and see how it works. I’ve recorded the video and uploaded it to Youtube for your viewing pleasure. Let me know what you think!